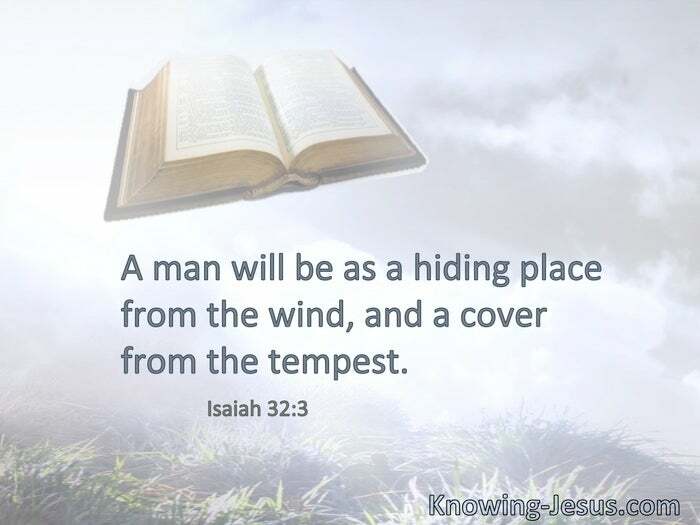 A man will be as a hiding place from the wind, and a cover from the tempest. Inasmuch … as the children have partaken of flesh and blood, He Himself likewise shared in the same. 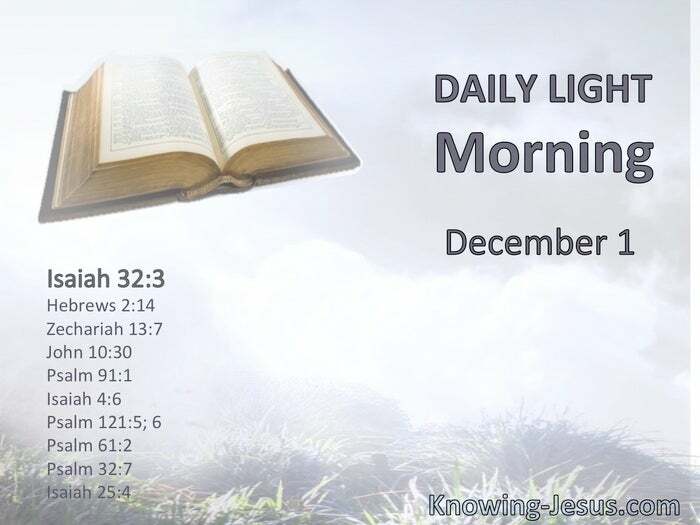 § “The Man who is My Companion,” says the Lord of hosts. § I and My Father are one. He who dwells in the secret place of the Most High shall abide under the shadow of the Almighty. § There will be a tabernacle for shade in the daytime from the heat, for a place of refuge, and for a shelter from storm, and rain. § The Lord is your shade at your right hand. The sun shall not strike you by day, nor the moon by night. When my heart is overwhelmed; lead me to the rock that is higher than I. § You are my hiding place; You shall preserve me from trouble. § You have been a strength to the poor, a strength to the needy in his distress, a refuge from the storm, a shade from the heat; for the blast of the terrible ones is as a storm against the wall.